Earnings and company guidance will be very important in the 2nd Quarter of 2014 as the economy makes the much-needed transition away from Fed stimulus to organic self-sustainable growth, or what we call the real economy’s growth. Rather than relying on Fed liquidity to drive markets higher, investors will be attaching a much greater weight to the direction of the real economy (not to be confused with the Financial QE Driven Economy), earnings and what corporate executives are forecasting for the months ahead. The data shows the real economy starting to see an improvement, which is clearly reflected in the Conference Board of Leading Economic Indicators (LEIs) we follow. Of the many components we track, which cover a wide range of forward-looking data related to manufacturing, housing, services and more. Eight components are positive and two are down mostly due to regional weather-related effects… what meteorologists called the Polar Vortex. 192,000 new jobs were reported in March compared with a monthly trend of 183,000 .The snow has finally melted and spring is in full swing. This is a recipe for more retail sales, which might finally prompt some movement in long dormant business investment. 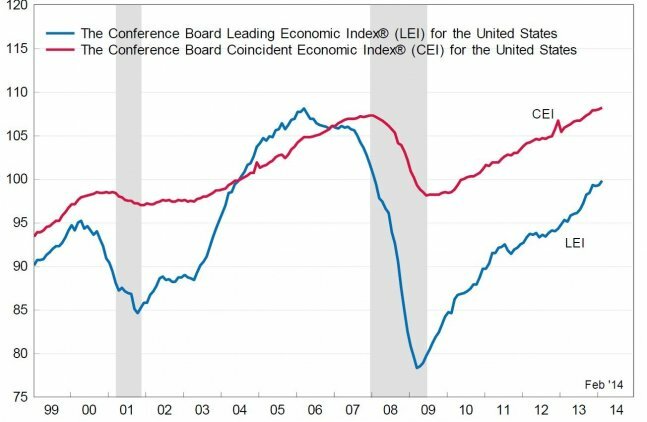 This is clearly reflected in the chart shown above (Blue Line) where the slope of the indicator turns down well in advance of a recession. Given this information, we see the economy continue to improve during the second half of 2014. The tightening of Credit of Commercial and Industrial Loans to large and Middle market firms is a good indication of the availability of Credit for business expansion. 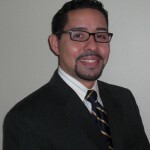 In order for businesses to expand and grow, there must exist the availability of credit. Typically, bull markets begin or remain intact when The Net Percentage of tightening remains below the zero line. 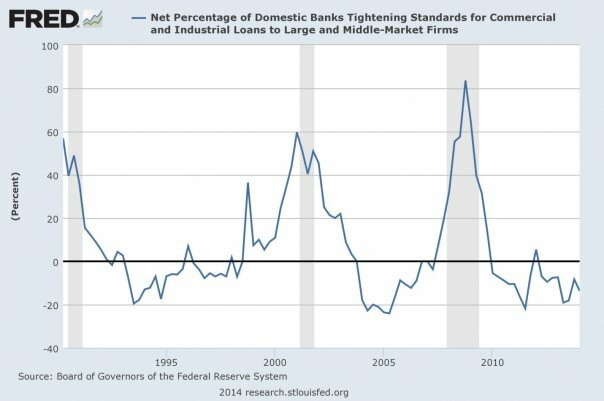 Credit becomes costly and or unavailable when the net percent in tightening is at 25% or greater above the zero line. Based on these findings, we can gauge how far off we are from a perceived credit crunch or loan-rationing environment. At present, the economy stands at a level where bull markets usually continue for more than 12 months. Today the availability of credit is healthy, as demonstrated in the graph above. As CEO guidance becomes clearer during the 2nd and 3rd quarter, businesses will be quick to borrow in order to grow and expand. This in turn will steepen the yield curve over time, providing ample opportunity for certain banks to increase margins as the bank short-term cost to loan out is low and the long term cost to borrow will rise. The gain in factory production in February was the largest since last August. The capacity utilization rate for total industry increased in February to 78.8 percent, a rate that is 1.3 percentage points below its long-run (1972–2013) average. See chart Above. 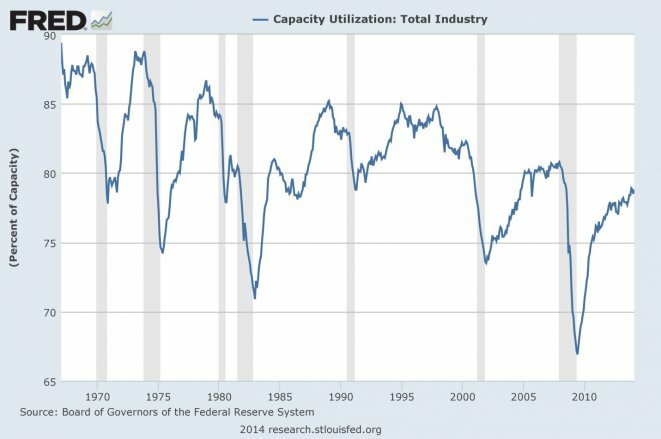 If market demand continues to grow, capacity utilization will rise. If demand weakens, capacity utilization will slacken. Bond Investors often watch capacity utilization indicators for signs of inflation. Historically, when utilization rises above 82% to 85%, price inflation will increase. All else remaining equal, barring a credit crisis or credit rationing, the lower capacity utilization falls (relative to the trend capacity utilization rate), the better the bond market likes it. Bondholders view strong capacity utilization (above the trend rate) as a leading indicator of higher inflation. Higher inflation—or the expectation of higher inflation—decreases bond prices, often prompting a higher yield to compensate for the higher expected rate of inflation. Short term to Medium Term High Yield Bonds Continue to remain attractive given our inflation forecast. Currently, our preferred short-term (2 years or less) high yield bonds are paying an attractive 5.4% annual yield and payments are made monthly for faster compounding. Given that money market checking accounts and savings accounts are paying less than 0.25% annually, we encourage investors to seek a better place to park cash that will not be utilized within the next 12 months. 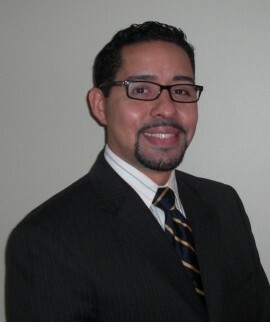 Many investors are uneasy because of the Feds recent bond purchase tapering. Investors care about tapering because a sharp rise in stock prices has accompanied the asset-purchasing program known as QE (Quantitative Easing) and they believe that the end of the program will lead to an end in the markets rally. However, the commencement of Tapering by the FED is not something to be surprised or concerned about. After all, as soon as QE began, we knew there would be an end. It is not logical to believe the Fed would continue QE forever. Let us also not confuse Tapering with “Tightening” though, because the two are not mutually exclusive. What investors should pay attention to is the Fed raising rates. Tightening is the Fed raising interest rates to control inflation. The Fed also often tightens to rein in economic growth that could overheat. Given that credit is just beginning to flow, the Feds’ consistent message of keeping short term interest rates low, and the current QE timetable, a rate hike is not likely until Spring of 2015 at the earliest. As a result, we anticipate a slow steepening of the Yield Curve throughout the remainder of the business cycle, as short term rates rise slower than long term rates. Historically, the markets and bonds have performed well in the year the Fed has begun to raise rates. Above is a chart of the average rates of return over the last 5 business cycles where the Fed has begun to raise rates. Given our timetable of a potential rate hike no sooner than Spring of 2015, we feel that select equities and bonds should provide investors with at minimum, modest returns over the next 24 months. As the market switches from momentum no-dividend paying and no earnings stocks to solid dividend and shareholder friendly stocks, volatility will persist throughout this rotation. This will be the year of the value driven dividend portfolio and investors should invest accordingly. Companies that have instituted share buy backs, raised their dividends, refinanced their debt at much lower rates will outperform the broader markets. Short to medium term high yield bonds also continue to be very attractive as their coupons are well above a 5% interest yield while money market savings and checking accounts are more near zero percent. Currently, our QCI Core Tactical Portfolio is allocated to short to medium term high yield bonds and dividend paying stocks that fall in our value category. Given that our inflation forecast is modest, and the Feds has pledged to keep short term rates low even after the end of QE, money market rates will remain low for a very long time. We believe, savers using these instruments should seek a diversified bond portfolio rather than hoarding non-interest bearing cash in order to meet their retirement goals.